These parlors became redundant with the arrival of new stainless steal sheathed parlors from the Pullman Osgood Bradley plant in Worcester, MA and conversion to coaches began with car 600 (ex-2059 Plymouth Light) in May 1949. The interiors were replaced with rubber covered floor tiles, walkover seats, luggage racks and solid color paint schemes. Since the cars were from different Pullman Plans, coach seating ranged from 71-88 passengers. The conversion of coaches 600-658 continued from 1949 through February 1954. The cars served in commuter coach service. Coach 657 (ex-2064 Warwick Light) was wrecked in the Federal Express in July 1955. 642 (ex-2046 Sheffield) was removed from service in October 1958. Most of the remainder of the fleet was removed from service or condemned in two large groups in March 1960 or March 1962. The last seven cars in the series were removed from service or condemned in 1966. The group consisted of several Pullman Plan parlors including Plans 2416, 2417, 3416, 3916 and 3917. Some of these cars were equipped with mechanical air conditioning, and some with ice air conditioning. The Plan 3416 cars were numbered 619 and 627-637 inclusive. Car 619 was equipped with mechanical air conditioning and friction bearing trucks. Cars 627-637 were all equipped with ice air conditioning and friction bearing 6-wheel trucks. All Plan 3416 cars were rebuilt with 88 seat passenger capacity. Coaches 627-637 were commonly assigned to 500-series commuter runs as well as Trains 675, 678, 741 and 744. Most of these trains ran out of South Station in Boston, MA in commuter service. Since I have photo references of both sides of Coach 633 I selected this car to model. I have no photo evidence this car was repainted into the Black Knight scheme, however there is photo evidence other 600-series coaches wore this scheme by 1958. This car was condemned in March 1960. Coach 633 (Pullman Plan 3416, ex-2022 Gertrude) would have been in Old Colony commuter service in 1959, which is the year I have chosen to model. Here is a list of parts I used to build this car. The New Haven owned 26 heavyweight steel smokers built by Osgood Bradley in 1914. All of the cars were 92-seat coaches and equipped with one toilet in the Men?s Saloon. Obviously these cars were from the days when men were men and women didn?t ride these cars! The first fourteen cars were equipped with 6-wheel pressed steel equalized trucks equipped with 4¼?x8? journals while the balance were equipped with 6-wheel trucks with 5?x9? journals. All trucks were manufactured by the Standard Motor Truck Company. Some of the cars were equipped with brass window sashes but the majority were equipped with weather-stripped wood sashes. Nineteen of these cars were rebuilt as smokers at Readville in 1935 and were equipped with ice air conditioning at that time. These smokers lasted in service for many years. Some of them received the McGinnis New Image scheme. My model of car 6705 is based on an August 9, 1959 photo of this car still in revenue service. 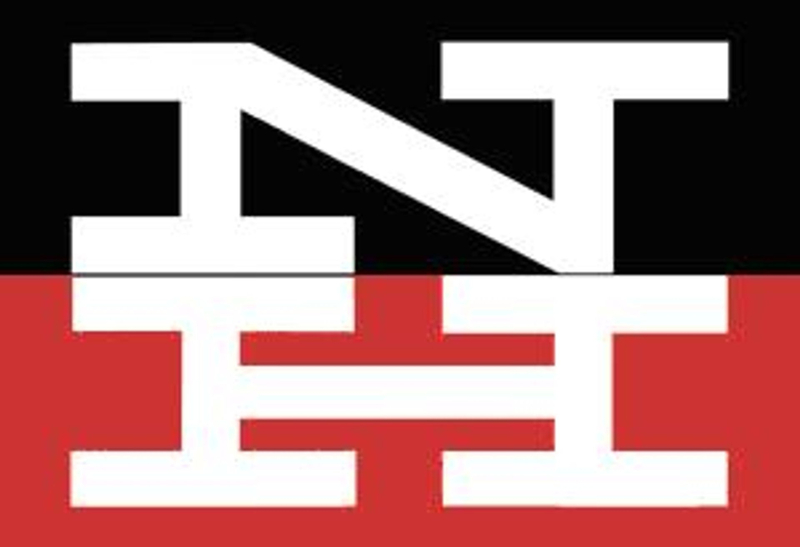 This conversion is based on a method developed some years ago by fellow New Haven modelers Jim Fellows. It?s a very simple modification to produce a decent stand-in model of these cars. Starting with a Rivarossi heavyweight coach, the small arched windows just inside each vestibule doorway are opened up and squared off to the same size as the other windows. The high-mounted sash on the large windows is removed and a new letter board made from 0.005? styrene sheet is installed. The prototype sketch shows a 17¾" width for the letter board but mine is 15? because I allowed for the width of the horizontal rivet strip between the letter board and the roof. I added a 0.005? styrene strip to cover the openings in the clerestory and I scratch-built the rectangular fresh-air intakes (center of the clerestory) from sheet styrene and added commercial Ward ventilators. The car was finished in semi-gloss black and the letter board strip was painted red-orange. The car was relettered with Microscale decals. These cars were originally built in 1929 by Pullman-Standard Car and Manufacturing Company at the Worcester, MA plant as coaches numbered 8100-8164. In June 1939, coaches 8140-48 and 8154-64 were changed to smokers 6835-43 and 6824-34. Coaches 8149 and 8150 were converted to club cars 5103 and 5104. To keep things interesting, in 1949 one of the converted smokers, 6828, was reconverted to coach 8163. In 1954 and 1955, Club Cars 5102 and 5105 were converted to Smokers 6844 and 6845 respectively. After delivery to the New Haven, cars within this series were equipped with either ice or mechanical air conditioning. Early in 1939 the ventilators were changed on all cars while still in the 8100-8164 series. The only notable change made when the cars were renumbered to 6824-6843 series smokers was that the seats were reupholstered in blue leatherette. The cars were equipped with General Steel Casting 4-wheel equalized trucks fitted with 36? diameter ASF roller bearing wheel units and Timken roller bearings for 5½?x10" journals. After the delivery of stainless steel passenger equipment these cars were relegated to commuter service and survived the mid-1959 service cutbacks with the elimination of Old Colony service until the end of the New Haven Railroad. The October 12, 1955 Passenger Train Consists lists nineteen 6824-6843 series cars in service and available for use on trains such as the Murray Hill, Bostonian and 42nd Street as well as local commuter runs. By October 28,1962 fourteen cars were still listed but not assigned to specific trains. Coach 6824 - When they first became available I happily bought three Bachmann Spectrum coaches. At the time these cars were available the Branchline heavyweight coaches were still a pipe dream and these cars certainly seemed a better alternative than Rivarossi or Athearn heavy weight coaches as a starting point. At least these cars had the correct number of windows and saloon layout. The only downside to these cars was the incorrect roof detail, incorrect trucks, incorrect overall length, incorrect underbody, incorrect steps, incorrect side construction, incorrect lettering and super-heavy rivet detail. Other than that, they were perfect! The cars are about 5 scale feet (or 11/16") short of the prototype. My decision was to salvage these cars and basically use them as stand-in models because they come close to the ?the three-foot rule? for me and they are certainly tough to nail as incorrect when moving along the rails in consists. Ironically, Bachmann numbered the cars no only into the 6824-6843 series, but numbered each car for one that has a readily available photograph. So, I decided to let each car keep the number Bachmann assigned but to modify them to remove as many problems as I could and call it a day. The modifications I describe on my "Work in Progress" page fix all the problems except the length, steps, underbody, side construction and heavy rivet detail. 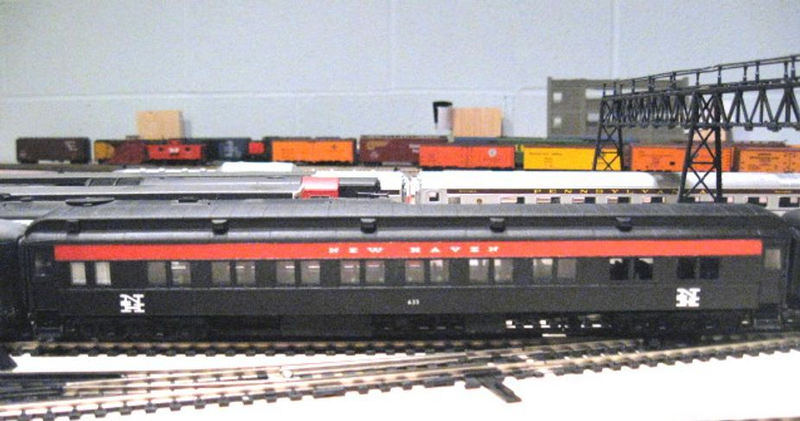 Fellow New Haven modeler Jim Fellows took a much better approach that resulted in a more accurate model using the Branchline coach as a starting point as shown on his web site (see my Links page). I would no longer recommend the Bachmann Spectrum cars as a starting point but if you, like me, have some sitting around and don't quite know what to do with them the modifications may interest you. Between 1916-7 The Osgood Bradley Car Company built a group of 88-seat steel coaches for the New Haven. There were 101 cars in the 7894-8085 series, but car 8015 from this series became Club Car 5100 and was converted to a coach in at Readville Shops in 1942. Also car 8080 had been the trailer car 9211 in the Besler Steam train and was converted to a coach by the Van Nest, NY shop forces in 1943. Coaches 7984-8014, 8016-8079 and 8081-8085 (excluding 8015 and 8080) were equipped with 4-wheel Standard Motor Company pressed steel trucks and reconditioned at Readville Shops in 1938. This included installation of new seats, lights, steam heat system, floor covering and interior painting. The seats were Heywood-Wakefield walkover type upholstered in mohair plush. The heating system was Vapor Company?s thermostatically controlled system and the new floor covering was 10? square asphalt time squares cemented to a Flexolith subfloor. Cars 7984-8005 had only 7 Ward vents on each side of the clerestory while the remainder of the cars in the series was outfitted with 10 vents on each side. Two saloons were located on opposite sides at each end of the cars. Coach 8011 is a brass model and is the companion to Baggage-Smoker 6012 in the Nickel Plate Products two-car set. Fellow New Haven modeler Jim Fellows detailed, painted and lettered this car installing the Ward vents included in the set in correct locations for a New Haven prototype. Until November 2008 this car was part of Jim's collection.